As part of the Obama administration’s lawsuit against Arizona’s new law, SB 1070, President Obama’s lawyers had an Immigration and Custom’s Enforcement bureaucrat, Daniel Ragsdale, file a brief to the court against the state of Arizona. What Ragsdale said about immigration law enforcement gives the lie both to the Obama lawsuit and to their current attacks on Sheriff Joe Arpaio. 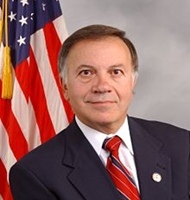 The 287(g) program was created by the 1996 Illegal Immigration Reform and Immigrant Responsibility Act. It authorized federal immigration authorities to train and deputize state and local law enforcement to fight illegal immigration. 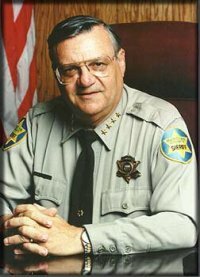 Despite using the success of 287 (g) in Maricopa County (where 58% of the state’s residents live) as a justification for suing to invalidate SB1070, the Obama administration has now revoked the program as part of an all-out assault against Sheriff Joe Arpaio. The justification for revoking the agreement comes from a 22-page letter written by Thomas Perez, the head of the Civil Rights Division at the Justice Department. The letter accuses Sheriff Joe of “discriminatory policing” and not giving enough bilingual services to Spanish speaking prisoners. While Perez presumably included these details to argue that his investigation was thorough, what this really means is that he has wasted millions of taxpayer dollars on this Obama witch-hunt. Perez gave Arpaio the option of allowing left wing bureaucrats in the Obama administration to micromanage his department, or face litigation. 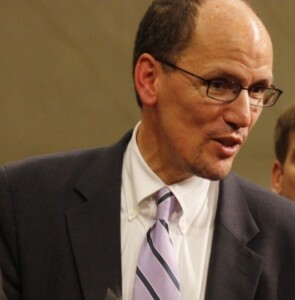 Prior to working for Eric Holder and the Obama administration, Perez was on the board of Casa De Maryland. CASA is a National Council of La Raza affiliate organization that receives millions of dollars from George Soros and Hugo Chavez’s state run oil company. They have set up day labor centers for illegal aliens and even printed Spanish language pamphlets to encourage illegal aliens not to cooperate with the police or immigration authorities. Perez’s main allegation is that Sheriff Joe is racially profiling in his enforcement of laws against illegal immigration. The principal basis for this is a statistical study that claims that Hispanics are more likely to be pulled over and searched by Arpaio’s Maricopa County Sheriff’s deputies. However, the Obama administration refuses to give the data behind the study. No one is accusing Sheriff Joe of indiscriminately stopping all Hispanics and demanding their papers. But neither the Constitution, Supreme Court precedent, nor the truth, matters to the Obama/Holder Justice Department. Instead, they are determined not to enforce our immigration laws on the federal level and attack anyone who does the job on the local level. Under the leadership of Sheriff Joe Arpaio, 25% of all deportation in the United States since 2007 came from Maricopa County. Arpaio’s success in identifying and deporting illegal aliens stands in sharp contrast to ICE’s weak enforcement across the rest of the nation. That success is an embarrassment to the federal immigration authorities, and this is why they are suing him and revoking his 287(g) authority. Apparently, Arizona’s enforcement efforts must be brought down the levels of New York and Chicago and other sanctuary cities. The hypocrisy and political motivation behind the Justice Department’s actions are both obvious and odious. If the Obama administration was serious about enforcing the law, they should be emulating Sheriff Joe across the country instead of harassing him.